Hello peeps!! Here is a GREAT product to try if you want soft manageable natural hair! I was contacted about a month ago to try Kava Essence and their products are amazing!!!! Take a peek at the review below and then prepare yourselves….for a GIVEAWAY!!! That’s Right!! There is a giveaway! 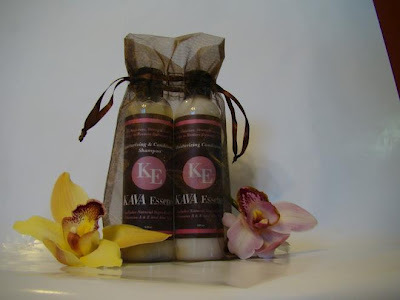 Kava Essence is giving away 2 Travel-sized (8oz each) Shampoo and Conditioner Sets!! Trust me when I say that this is more than enough product! You don’t need to use very much at a time! To enter the giveaway, simple follow the instructions in the rafflecopter below!! I promise you will not be disappointed with this product! Best of Luck! !